Originally the Galactica motion picture (for overseas distribution) was filmed with dialog explaining that the Cylons were creatures. They were blind and created helmet scanners to see. That explains the helmets... 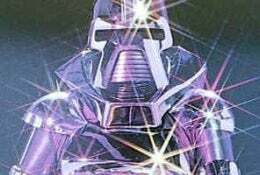 The living Cylons were changed to robots for the TV series because of an hourly body-count limitation for prime-time television. There was, however, no limit to how many robots could be ‘killed' per hour so they became robots and dialog was revised to explain it all.